The QSI 532ws-M1 CCD camera is a cooled camera used for astrophotography and scientific imaging. The above photo shows the QSI 532ws-M1 camera mounted on a Celestron C5 Schmidt-Cassegrain telescope. The FOV is 40.1 x 27.1 arcmin at 1.1 arcsec/pix. This assumes that the camera image plane is at the correct position. The QSI 532ws camera mounted on a Celestron C5 Schmidt-Cassegrain provides a long focal length (1250mm) imaging setup that uses only one counter weight on the Sirius mount. Also, this configuration does not use an UV/IR cut-off filter. This provides maximum photon sensitivity for imaging. Whereas, an UV/IR cut-off filter is needed to obtain sharp images with a refractor. This configuration is a nice complement to the Pentax 75mm refractor. 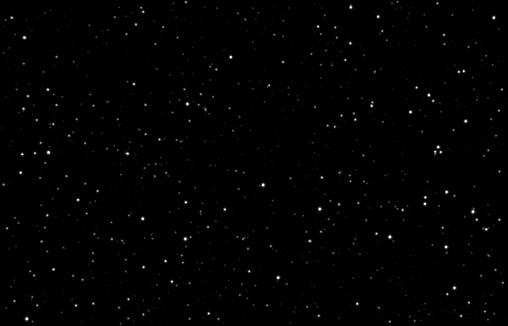 The QSI 532ws-M1 CCD camera has T-mount threads. A Edmund Optics T-Mount 20mm extension tube is attached to the QSI 532ws-M1 CCD camera to make the backfocus of the QSI camera simular to the backfocus of a 35mm camera with a T-mount adapter. 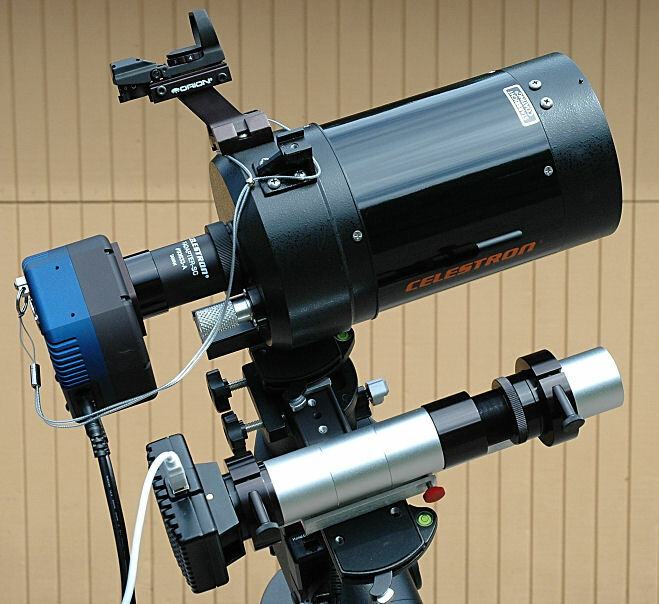 The Celestron T-adapter-SC 93633-A attaches the QSI camera with the extension tube to the C5. The QSI 532ws-M1 CCD Camera uses a Kodak KAF-3200ME CCD sensor that is optmize for scientific measurements with its linear response. The camera has very high quantum efficiency (PDF) using Kodak Enhanced Spectral Response and Microlens technology. The QSI camera electronics has with very low noise and very good temperature regulation. Its small size makes it a good match for the small Celestron C5 Schmidt-Cassegrain telescope and the Sirius mount. One 11 pound counter weight is used.